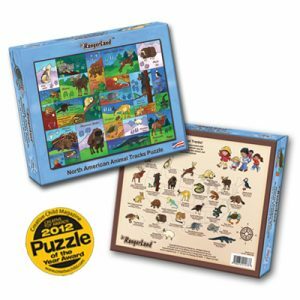 Assemble this colorful puzzle and identify the tracks associated with each animal. Use the map on the back of the box to see where these animals may be found in North America. Creative Child Magazine 2012 Puzzle of the Year Award recipient. Made in the USA.